After the 2-1 win over Newcastle Maurizio Sarri wasn’t particularly satisfied with the performance against the Magpies and said that his players would need to improve mentally. The Italian was particularly disappointed with the attitude of some players that clearly show that they thought that they could get an easy win without having to put 100% efforts on the game. Chelsea started perfectly against Newcastle with Pedro that found the back of the net just after nine minutes. The problems started later though the Blues allowed Newcastle to gain more and more control until they find an equaliser with Ciaran Clark in the 40th minute. Eventually, Chelsea managed to go in front again and win the game with Willian but Sarri said the result was perfect but not the performance. He also went on to say that after the goal the team started to relax and slept for around 25 minutes. He wants his players to improve in the mental reaction. All the best betting sites are now favouring Chelsea to end in the top four and this is undoubtedly the primary objective of the Italian for his first year. It is, however, tricky to figure out how long it will take for Chelsea to start winning titles again. Most will depend on the transfer markets and the investments that will be made, but Sarri doesn’t seem to have a clue of what the club will do in the winter transfer market. In the latest press conference, he said that he is in the dark and that he doesn’t know if Hazard will stay at the end of the season. He only said that he would need a replacement for Fabregas. Sarri also has other worries and those concern the midfield and especially Jorginho. The player is continuing to show erratic performances and since he is central to Sarri’s game, every time he plays poorly it affects the whole team. The problem is even more concerning if you consider that there isn’t a replacement yet for Cesc Fabregas that has gone to AS Monaco. Sarri clearly showed that is an issue and he wishes that the club will do something to resolve. He said that everyone could have seen that Jorginho was in trouble but the problem is that he doesn’t have a player for that position and at this moment in time he doesn’t know when this will be addressed. In attack, Willian was subject to a bid from Barcelona who are looking to get him for money plus Malcom. The total package was about £50M and we have been told that the club rejected the bid. Many fans were left a bit shocked by the club’s decision not to see a player that has already reached 30 years old and that has a contract that will expire in 18 months. Willian however is and remains central in Maurizio Sarri’s game and the team just cannot allow to lose him at this time. 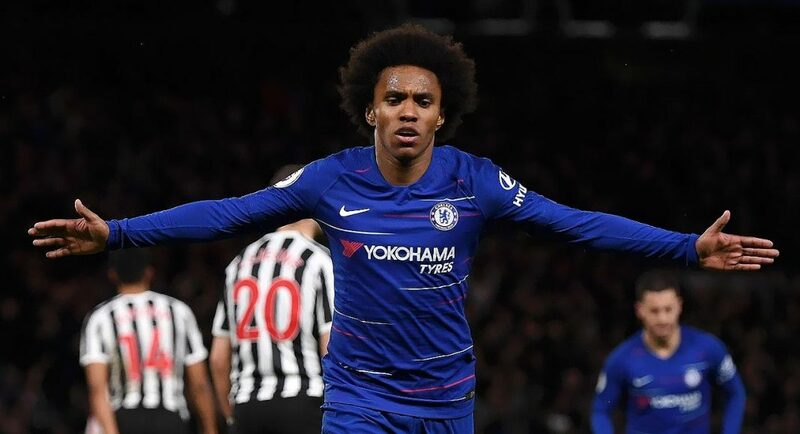 Sarri has been very clear about this and said that Willian is a key player and should stay at Stamford Bridge. That was the same opinion he had on Pedro and Callum Hudson-Odoi. It is easy to see why as with Eden Hazard that has now become a centre-forward they have become central to the squad. To ensure the project has legs, Chelsea needs good wingers and this is why Sarri is not willing to let go Pedro, Odoi and Willian. So there are many unanswered questions around Chelsea both in the pitch and outside: in a month or so we will see how they will be able to address those concerns. 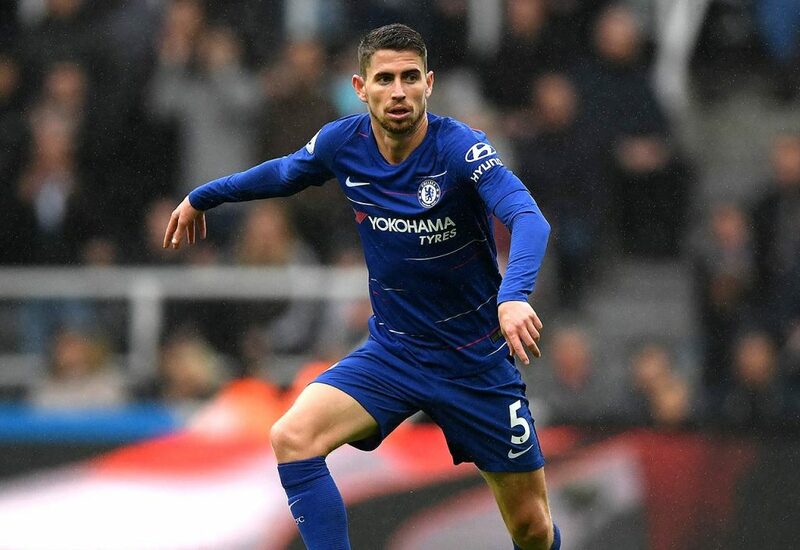 If the Blues can retain the players that are central to Sarri’s project and add some alternatives to Jorginho than the qualification to the Champions League should be a somewhat comfortable job. If, however, the right replacement for Fabregas will not be bought and some key player will be allowed to leave the club, the situation could become very risky especially as Manchester United are back in business after the departure of Jose Mourinho and the arrival of Ole Gunnar Solskjaer. Since Liverpool and Manchester City are flying, there are now effectively four teams that are playing for the two remaining Champions League positions. Those are Tottenham, Chelsea, Arsenal and Manchester United. Chelsea are just one point behind Spurs now and surely if they will be able to come out from this transitional period in the best possible way, the Blues have a chance to ‘own’ that third position in the table. After all, Tottenham have been somewhat shaky when they are also involved in the Champions League, which is a competition that is back next month. Arsenal started the season well under Unay Emery but things have since taken a turn to the worse at the Emirates. The Gunners don’t seem to have enough quality to compete for the top 4, and unless they can solve defensive problems in the transfer markets, they are destined to probably an anonymous 6th place. Manchester United are the team more in the form of the four competing: how long this will last tough it is difficult to say, but they surely have the squad to fight for a top 4 finishing until the end.